Internal Revenue Service approves 94 percent of the applications it receives from charities for tax-exempt status filed through the simplified Form 1023-EZ. It has also been found that some do not meet the requirements. A recent report by the National Taxpayer Advocate pointed out that Treasury Department regulations generally require 501(c)(3) organizations to pass an “organizational test” by including the acceptable purpose and dissolution clauses in their organizing documents. However, according to the IRS’s pre-determination reviews of some Form 1023-EZ applicants, 25 percent don’t qualify for tax-exempt status because they don’t meet this test. A 2015 study by the Taxpayer Advocate Service of a sample of approved Form 1023-EZ applicants in 20 states that make articles of incorporation viewable online found that 37 percent of them don’t meet the organizational test. A similar study last year by the Taxpayer Advocate service indicated that 26 percent of the approved organizations didn’t meet the organizational test. Here is where the crux of the problem lies. The narrative description of activities, articles of incorporation and bylines are not required to be submitted. It would be burdensome for small charities to put together all the documentation that is supposed to be required. It would be equally burdensome for the IRS to go through all the required documentation needed. As imperfect as the 1023-EZ is, it does relieve some pressures on the IRS. The National Taxpayer Advocate recommended the IRS require Form 1023-EZ applicants to submit their organizing documents, unless they are already available online at no cost, along with summary financial information. It said the IRS should make a determination only after it considers the narrative statements along with the additional information. The IRS agreed to revise Form 1023-EZ to require a narrative statement of applicants’ activities, but the Taxpayer Advocate said more information is still needed. The IRS anticipates the reduction of the user fee will contribute to an increase in the adoption rate. 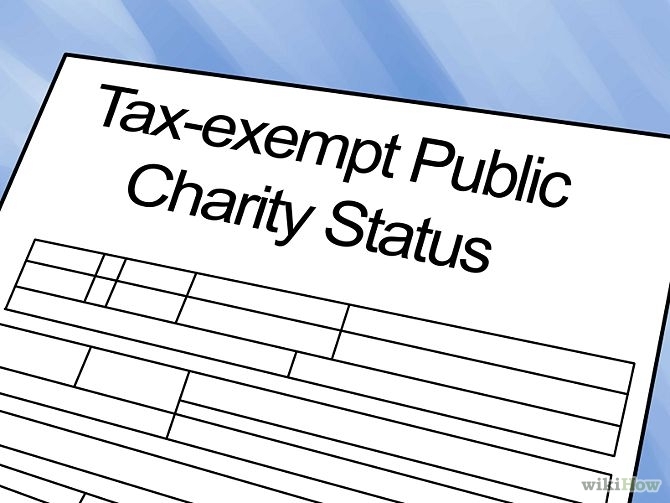 Once a charity has been approved for tax-exempt status, it then has to file a Form 990 or the more streamlined 990-N or 990-EZ. The IRS recently added interactive features to the 990-EZ with question marks that provide additional information when filling it out online (see Form 990-EZ for nonprofits updated). This form provides information so the IRS and the public are getting more information about the organization if this organization grows to a size warranting more extensive look. Yet in truth, it is hard to police over every submission and organization that submits a form. I acknowledge that submitting this contact form gives us your permission to email you updates and notifications. The firm of Joe Mastriano, P.C. pays commissions for referrals. This is your notification that if you were referred to this firm by someone, a commission may have been paid to them. .